I recently found my favorite way to use quinoa, which is a staple for all four of us. 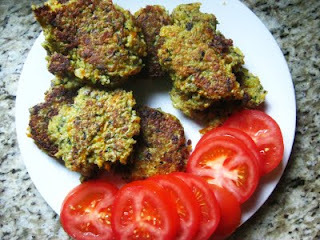 What I love is that there are veggies hiding in the patties. Ones Oliver can't pick out. He loves these "crispies"...he dips them in whatever we have to dip them in. Last night it was a garden dip.